Insurance is often considered a necessary evil, an expense paid with little return in fair weather. But can the boat owner afford not to have the appropriate insurance especially in the face of escalating natural disasters. In 2017 a few mariners in Queensland were thanking their lucky stars as the state’s largest marine insurer responded quickly by treating all claims as ‘perils of the sea’, avoiding the perils of litigation. Unfortunately, others were not so lucky as insurers limited their losses due to the unprecedented number of natural disasters across Australia in recent times. The changing weather patterns due to global warming now significantly affects world with Australia not being isolated from frequent severe cyclonic winds, hammering rain, massive storm surges and engorged murky rivers racing to the sea. From metropolitan Brisbane in early January 2017, TV cameras beamed pictures around the world of torpedoing concrete walkways and marina pontoons ripped from their supports caught in the raging torrent. Abandoned boats, hurtling down the angry Brisbane River were crushed as effortlessly as matchsticks against the sides of bridges they would usually pass beneath. As the floodwaters subsided and work began on the long and costly process of rebuilding, attention fell on the insurance companies and how they would respond to one of Australia’s worst natural disasters. Despite the Prime Minister urging insurers to ‘show compassion and flexibility’, many victims were told that their current policies would fail to cover flood damage and there was very little the government could do to force their hands. While some insurance companies continue to bicker over the elusive distinction between flood and storm waters and consumer groups argue for major reform, it is worth considering how the marine insurance industry has responded and how mariners may minimise the likelihood of being denied coverage for future claims. Six years ago I was living in a renovated boatshed on the western shores of Lake Macquarie south of Newcastle. After 36 hours of torrential rainfall my bedroom was submerged in 6ft of water and the lake was in a state of ruin. Looking across the usually peaceful vista, the cyclonic conditions had demolished boatsheds and wharfs and had left dozens of yachts strewn across the shoreline, their rigging resting against the tops of houses. Thankfully, my insurance policy covered the damage to my home and my yacht Dawn was tucked safely in a shed, which is more than can be said for the Pascha Bulka oil tanker that foundered on Newcastle’s Nobbys Beach. Ultimately, this June long weekend storm claimed 10 lives and cost insurers over $1.5 billion. While the Newcastle storms came without warning, Brisbane was given early notice of the eminent danger. Well before the police were evacuating the inner-city and closing the river, marina operators and a major marine insurer were working closely together to assist in shifting vessels to the relative safety of Moreton Bay and Manly Marina. Unlike those vessels stranded high and dry on the shores of Lake Macquarie, in Brisbane vessels were being salvaged regardless of insurer. The show of goodwill continued with a general commitment being made by this particular marine insurer to process its flood-related claims as quickly as possible without the usual scrutiny. The sceptics amongst us may label such action as a self-serving attempt to either avoid legal costs or bad publicity, indeed there is no denying the powerful impact of the combined pressures of media, government and public opinion on an organisation in times of crisis. Whether the collective vision of ‘helping your fellow seamen without question’ will continue to be replicated in the coming months remains to be seen. Some providers may be tempted to tighten the enforcement of contractual terms in order to limit their liability in the face of escalating claims. Boat owners should therefore not assume their claims will continue to be processed without question, but consider their actual policy in light of the various grounds on which insurers may reject a claim. The moment you take out marine insurance you are bound to the terms and conditions outlined by the policy. An insurance policy is a legal contract and as such it is essential that you are aware of exactly what you’re signing up for. Too often more time is spent researching the latest boating entertainment system than the vessel’s insurance policy. And despite the industry sales pitch, insurance policies are not simple contracts and should be considered with respect to each particular vessel. Boating is regarded as a high risk activity causing a raft (excuse the pun) of boat-specific exclusions to be built in to standard insurance contracts. Even casual recreational yachtsmen need to be aware of these general terms. Some policies even go so far as to be prescriptive about what the vessel owner needs to do to secure their vessel when a storm is approaching, to fail to do so may render the policy voidable. When push comes to shove insurers will usually only cover what is directly required by the policy, irrespective of whether the incident occurred in times of national disaster or merely personal misfortune. Most, if not all boating insurance policies have clauses relating to contributory negligence, which state that the policy holder must at all times take reasonable care to safeguard the insured vessel from theft or damage. Further, if damage does eventuate there is a duty to take all reasonable steps to prevent any further loss or damage. In the context of the 2017 floods questions arose as to whether owners, who had been provided with ample warnings of approaching flood waters, should have been covered if they took no affirmative action to protect their vessel. In 2019 some policies are prescriptive about what the vessel owner needs to do to secure their vessel when a storm is approaching, to fail to do so may render the policy voidable. Of course in reality when homes and even lives are threatened, securing one’s boat is the last on the list of priorities. Another exclusionary clause comes into operation if a boat is deemed to have been in an unsafe or unseaworthy condition before the incident occurred. In making this determination assessors will look at whether the vessel had been correctly maintained, was structurally sound and free from corrosion, rot, rust and other previous unrepaired damage. They may also check to see if any major repairs, alterations or modifications to the vessel had taken place, as unidentified changes made to the manufacturer’s original specifications are usually sufficient grounds to refuse a claim. Indeed there is an ongoing obligation to keep your insurer informed of anything that could affect their assessment of risk including changes to the place the boat is housed or moored, changes to the purpose for which the boat is being used or even the loss of boating licences or criminal convictions. Failure to be honest and upfront in all dealings with insurance companies may be regarded as fraud and result in the immediate cancelation of a policy – just when you need it! It is also worth noting that most insurance policies will not pay out claims within the first 48 hours of the start of the policy being entered, particularly if damage was from a named cyclone such as the startling ‘Yasi’ system. Finally, while not so relevant to the recent disasters, it is also important to recognise that boating policies come with strict geographic limits extending anywhere up to 250nm from the Australian coast. Should your vessel be damaged outside these waters you will not be covered and therefore international cover may be required depending on usage. While these generic clauses are found in all the major boating policies, there can be vast differences between companies and what they are willing to cover. Subsequently, anyone looking to better understand their policy should first and foremost get in contact with their insurer and ask them to explain what’s covered and more importantly what’s not in respect to your particular vessel. You will also be able to find this information in your insurer’s policy product disclosure statement, which outlines the specific terms and must be provided to you before taking out a policy. Finally, should your claim be rejected the Insurance Ombudsmen Service offers a free and independent forum that allows consumers to challenge the decision of an insurance company, and who’s ruling is binding on the insurer. Overall despite the show of generosity by some insurance companies, this position should not be considered the norm and mariners should consider carefully the terms of their insurance policy in view of their particular vessel to ensure proper coverage. For many Australians the start of the new year has ushered in significant loss both financially and emotionally. The unusually high number of devastating natural disasters across the country that at the time of writing increased to include cyclone ‘Yassi’, highlights the importance of getting your insurance right. It may be the case that on top of a marine survey, specialist legal advice is also required. • condition of standing and running rigging. Not the sexiest subject and often the last thing you’d think about when considering your yacht purchase, but Tax and Duty Laws are probably the most important, especially when importing from another country. For many reasons prospective buyers look overseas to purchase yachts and while this article does not consider the rights or wrongs of this practice, when it comes to yacht construction in Australia the reality is this industry is all but gone. Adding to this Australian economic story, the larger American market and weaker European markets have resulted in comparatively cheaper prices for Australians. However, any price advantage may be quickly lost if taxes and duties are not considered before money changes hands. Given the breadth of this topic this article will specifically focus on the Duty Payable, Customs Value and Goods and Services Tax (GST) for a yacht originally built in Italy and finally purchased from America. The general rule is that duty is payable at a rate of 5% of the customs value on imported yachts depending where the yacht was originally constructed. The exception when importing from America is as a consequence of the Free Trade Agreement (FTA) between the USA and Australia being a mutual agreement in respect to vessels manufactured in either country. However, if the vessel is constructed in a country with whom Australia does not have a FTA, or similar reciprocal arrangement, duty will be payable regardless of the vessel being purchased in a country such as America, as was the case with our client’s yacht purchase. There is however another exception that may be able to be used, and does not rely on whether the vessel was not constructed in a country that is a party to the FTA or its equivalent, being where the volume of vessel exceeds150 ‘gross construction tonnes’ (volume rule) however, this option would be unlikely to apply to most modern multihulls. For interest sake, this rule is referred to as the ‘Bounty Rule’ and came from a period when Australia didn’t produce large ships and this seems to be applicable again. The rule applies to large volume yachts exceeding 150 ‘gross construction tonnes’. This rule uses a formula to calculate the ‘gross construction tonnes’ being a bureaucratic figure not a design construction figure. Thus, while the displacement of a vessel may be 150 tonnes this is not ‘gross construction tonnes’, which is calculated by the sum of the cubic metre volume of the vessel divided by 2.83. The significance of this figure becomes apparent where for argument sake the customs value of of a vessel is estimated at $1,500,000, the duty potentially payable would be $75,000, plus GST of $7,500 payable on that duty with a total of approximately $82,000 payable. However, if customs accepts an argument based on the ‘gross construction tonnes’ formula this duty and its GST may not be payable. And while I may have now got your attention, many yachts don’t fit into this exception given the sheer size required. GST and Duty are calculated based on the concept of ‘customs value’. The customs value is usually based on the purchase price, however may also be an amount customs deems the vessel to be worth after their calculations. The customs value will be an arbitrary judgment where no documentation is provided and may leave you with a nasty unexpected bill. Therefore, it is important to be prepared and provide accurate reports and evaluations to convince the custom’s officer of the lowest possible value of the vessel that does not mislead, so as to this reduce the taxes payable and avoid any possible penalties. The calculation of the customs value becomes complicated where there is the initial purchase price followed by a refit in the same country potentially increasing the value of the vessel, less any costs that would be considered for repair and maintenance. Any calculation would consider where the vessel was constructed, being crucial, but also whether the country is party to the FTA or an equivalent where the refit occurs. Additionally, in certain circumstances, where the money spent to upgrade is not reflected in a substantial increased in value of the yacht (just providing the owner with better living conditions) it may be better to commission a further survey of the yacht that considers such things as the falling value of larger yachts in international markets and other considerations such as the special market that many yachts fall into such as classic timber yachts. Where often purchased cheaply, due to neglect, the cost of refit is rarely recouped by the owner in the finished product. Therefore, by getting a final survey and evaluation limits the possibility of a protracted argument over the customs value. As a reasonable increase in the value of the vessel in the new survey, when compared to the purchase price of a neglected yacht, may better reflect the money spent on the boat that reasonably increases the value, while still considering on going repairs and maintenance. This additional survey also gives the added benefit of peace of mind by decreasing the risk of being penalised by customs where it could be shown there was an attempt to evade paying the correct tax. GST is calculated at 10% of the sum of the customs value, international transport, insurance, duty paid and other non-excluded fees that may be encountered. • Paying no duty or less duty will also minimise the GST. However, beyond these strategies, GST will have to be paid as your yacht is a taxable importation and there are no relevant exceptions such as living on the vessel overseas for 12 months or more. There is however a possibility of converting the GST payable into tax credits. This would allow you to claim this credit against other GST you are liable to pay. Obviously, in order for the credit to be worthwhile, you would need to have a significant GST liability. In essence to be able to claim the credit the yacht would have to be imported for a specific purpose such as a commercial purpose however, the tax department has strict rules around use of vessels, and the onus is upon the users to show that in fact the vessel meets this criteria resulting in significant fines if not met. The bottom line is that no one likes nasty surprises especially where large summons of money are concerned. And while in Australia the purchase of large yachts may be limited, making purchasing overseas more inviting, your next purchase should be undertaken with care. Especially, considering amongst many things where to purchase, where the yacht was built and whether to refit the vessel overseas or in Australia. These are just some of the questions that need to be considered that may have a significant effect on Tax and Duty payable. But significantly the whole process can be simplified with some pre-purchase investigation that allows you to make a fully informed purchase that may also be commercially sensible. Christmas for most of us was a busy time of year, running out of time to complete the last minute end of year jobs, being rushed to purchase gifts and those festive foods is all pretty normal. But at the end of 2014, for my client the pressure was really on to have his beautiful vessel successfully launched and sailing off the aft deck of the transport ship and before the port services closed. With the captain, his wife, crew, owner and his family and friends all flying in from Europe and America the expectations were high and defeat was not an option. Potentially, customs may have refused the control certificate and in the 11th hour the unthinkable did happen marooning this beauty and her 13m tender high and dry on a ship at an industrial port. However, some quick thinking and advocacy work resolved the impasse and this story had a fairy tale ending. My firm has a policy that new matters coming into the office after November 1 will not be commenced until the New Year, unless there is an emergency. It was not until December 21 that our office received an email from the captain marked ‘URGENT’. The email requested our services to act as central point of communication liaising with the logistics carrier, captain, manager and the owner’s lawyer who was based on the east coast of America. With instructions to review all documents, assist where possible and ensure our client was not legally exposed to customs duties, potential taxes or other laws. Pursuant to A New Tax System (Goods and services Tax) Act 1999 (Cth) s 13.5. 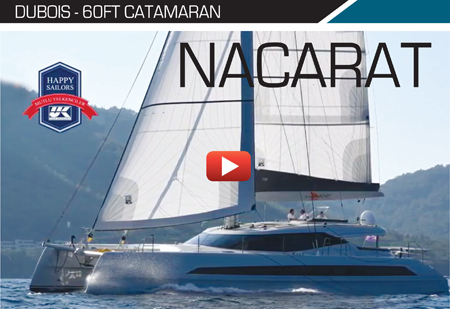 A Yacht is not a non taxable important (sch 4 of Customs Tariff Act 1999 (Ch)). So normally the Yacht would be subject to GST. However, s 171.5(1) holds that the 162 exception for duty applies and no GST would need to be paid. Sub s (3) holds that if you paid a security and export the goods within 12 months (and all other regulations complied with) then you get the security paid back. S.162A(1) holds that the regulations may prescribe when a temporary importation exception applies.? Scenario 1: Yacht is passing through Australia as Cargo No tax. The good is not being imported for the purpose of home consumption so neither GST nor Duty should apply. Scenario 2: Someone wants to sail the ship for a few weeks over the holidays. Usually have to pay GST and Duty. However, if the master is a temporary resident or tourists, there is an exception. • They could also give an undertaking. So they could put the money in our trust account. • possibly a written guarantee given supported by the security of a passport. However, customs were wanting more than the passport – they were requiring evidence that would support the vessel’s transit out of Australian waters once launched and financial documents supporting the ability to pay surety as well as documents showing the temporary nature of the stay. It was a nail biting couple of days for all due to the change in customs’ stricter interpretation of the law, the downside was that this left the logistics carrier in a potentially embarrassing position, given that his service was trusted and established and that he personally had been doing his job for over 15 years and had not been confronted with this problem in the past. All the documents were supplied and customs eventually issued the control certificate in the 12th hour, just in time to have the vessel launched before the port closed down for Christmas, saving the logistics carrier much embarrassment. While the laws in Australia have been changing they still have a long way to go to facilitate the future of yachting in respect to the temporary importation of vessels into Australia. Droning OnFrom armed conflicts to delivering pizza it is undeniable that drones are becoming part of our every day living. And like the smart phone soon we will wonder how people got along without this technology, of course there will be those who feel its all gone to far. But like it or hate it drones are increasing in numbers and like any new technology often the existing law doesn’t address the new issues that arise, such as the loss of privacy. In the last five years the drone industry has become a worldwide phenomena realising exponential growth in technology, manufacturing and their sales. The industry doesn’t like the name ‘drones’ due to this name being synonymous with war machines that reign death and destruction they prefer terms like unmanned aerial vehicle (UAV) or remotely piloted aircraft (RPA). The many applications of drone tech has the potential to help humans do more and know more faster and more safely than in any time in our history. But a rose by any name still has thorns causing regulatory difficulty for modern governments and in this case the headache for lawmakers is privacy. In essence it could be argued that our privacy is under threat as drones become widely accessible with advancements in technology that allow for longer flights while being equipped with ever more sophisticated equipment. So when you are out on your yacht enjoying the clear sky and cool breeze what’s to stop someone flying a drone right over your head and start taking pictures? Unfortunately, depending on what country you are in, not much at this time. Of course like most things privacy laws vary widely from place to place. But two common themes throughout many jurisdictions are that privacy laws are piecemeal and they are outdated. They are piecemeal because privacy is different depending a societies needs. For example there are laws that regulate how governments are allowed to use citizens’ information. Some people require this information obviously, but if it were to get out into the public domain it could have devastating consequences. But this type of privacy law doesn’t cover use of drones because this area is about public institutions using information. Another common area of privacy law is the regulation of law enforcement agency’s collection of personal information. This is the area of law that limits (or does not limit as it were) the ability of the government to spy on you. This area of law might actually cover the use of drones, but only the use of drones by government agencies. It does not stop someone taking pictures of you sunbathing on the deck of your pride and joy or sharing a moment with a beauty friend. Generally, the privacy laws that currently exist focus on equipment that was fixed to some structure: tapping a phone with a listen device, a video camera fixed to a wall for some examples. The idea of strapped a video camera the size of a matchbox to a remote control vehicle was the stuff of spy movies. But now almost anyone can afford a drone and camera. The radical technological advancement occurring in today’s world is not the world the current legal framework envisions, as there is always a lag between technological development and the creating of laws. In essence the problem flows from the creation, then the law attempts to resolve the problem. In other words, the laws that exist to protect privacy are out-dated. In a lot of places in the world, the current outdated laws are full of gaps. Again using my home country as an example the outdated system means there is great uncertainty in the laws. Uncertainly in law means that the costs and risks of litigation are much higher. Moreover, even if you do have a case no appropriate remedy may be available. Just because you have a cause of action does not mean you are going to get anything. So for example, if you have a ‘no trespassing’ sign on your property and someone steps onto you property (not knowing that it was private property) you technically have a cause of action. However, it is highly unlikely that a judge will award any significant amount. Suing for breach of confidential information can also give rise to the same problem. You might technically have a cause of action but the amount you are awarded could in no way cover your costs of litigation. So there seems to be obvious room for change with new privacy problems being created. The problem with change though is that laws a very complex and what seems to be a simple change can end up have massive unintended consequences. This is why the world is looking toward the European Union, in particular their recent developments in privacy law. There are much stricter laws protecting privacy in the EU and in particular Germany interprets the laws very strictly. This will be a good test case to understand what the impacts of increase privacy protection on business are, whether the general public will utilise the laws and more importantly whether people’s privacy will be protected. The flipside to any privacy law is what the Americans have enshrined in their Bill of Rights that being the freedom of the individual. Generally speaking the law is a blunt instrument and time will tell whether a balance can be found between the competing interests. A Shipmasters’ obligation when rendering assistance on the high seas. In 2012 the luxury cruise ship, The Star Princess made a splash in international maritime news for all the wrong reasons. Immediately after the incident various organisations reported a fishing vessel had signalled the cruise ship and three bird watching passengers, who had informed the crew that they saw a fishing boat and its distress signal. However, the captain’s log told a different story, saying that the cruise ship had been asked to alter course to avoid damaging the fishing nets, and that the three fishermen were signalling thanks. Of the three men that were alive when the cruise ship made contact, only one survived. This incident raises the important legal question: what are a masters’ legal obligations regarding a vessel in distress? Some would be surprised that the development of an international obligation is reasonably recent in maritime history. The impulsive desire to save human life when in peril is one of the most beneficial instincts of humanity, and is nowhere more salutary in its results than in bringing help to those who, exposed to destruction from the fury of winds and waves, would perish if left without assistance. To all who have to trust themselves to the sea, it is of the utmost importance that the promptings of humanity in this respect should not be checked or interfered with by prudential considerations as to injurious consequences, which may result to a ship or cargo from the rendering of the needed aid. In essence, Cockburn CJ does not impose an obligation to provide assistance and qualifies the circumstances of rendering assistance as being where there is no possibility of damage to the rescuing ship or its cargo. At the same time as the English courts made their decision, French and German courts were far more prescriptive in their application of laws to render assistance and were handing down criminal sanctions for a failing to do so. These different positions highlighted the difference between common law states, such as England, Canada, Australia and the codified states of continental Europe. Every master is bound, so far as he can do so without serious danger to his vessel, and persons thereon, to render assistance to any person in danger of being lost at sea. The master of a ship at sea which is in a position to be able to provide assistance on receiving a signal from any source that persons are in distress at sea, is bound to proceed with all speed to their assistance. However, the international agreements are not law themselves, but rather, they are an agreement between countries to implement local laws that reflect these obligations. So for example if your vessel is under a German flag the master will be bound by the Handelsgesetzbuch and the Bundesgesetzblatt or if the flag is Irish the law is in The Merchant Shipping (Salvage and Wreck) Act. And while the provisions largely reflect the international agreements each jurisdiction have their own subtleties. In Australia the principle law is in the Navigation Act 1912 (Cth), which provides that if a master doesn’t render assistance when it is reasonable to do so he or she faces up to 10 years in prison. If a master does not give assistance he or she must record in his or her log book why he or she chose not to. And the reasons not to give assistance can be many and varied depending on the situation. The other issue that adds complexity is the vagueness of the drafting. What does ‘provide assistance’ mean? Well, it seems that the law was designed to be flexible so each situation can be assessed by the master of the ship. So it may mean that crewmen are sent over to the vessel in distress to attempt to repair it. It could mean giving supplies or towing the vessel. And in some cases it could mean that you have to take people on board and deliver them to a safe harbour. Sometimes offering ‘assistance’ does not require too much effort. It can be as simple as notify the relevant costal authority. However, an example of where ‘assistance’ turned out to be very onerous is the incident of the Tampa. In this case, the Norwegian cargo ship took on board 438 people from a vessel in distress in the Indian Ocean. The master of the Tampa started to make way to an Indonesian port, but was confronted with threats from the refugees to throw themselves off the ship, if the master did not change course and head for a western county. The Master then decided to head for Christmas Island, an Australian jurisdiction. But, the Tampa was denied access to Australian waters by the Australian Government under political pressure to limit refugees seeking asylum by boat. After two days, the Tampa was running low on supplies and it sent out a mayday call entering Australian waters despite the government’s refusal. The vessel was boarded by Navy personal. It took eight more days to negotiate an outcome before the 438 people left the ship. Overall, it was a very costly exercise and probably the master of the Tampa went beyond his obligations. Nevertheless, what could seem like a simple event can turn out to be anything but. Up to this point we have only discussed the rules relating to the assistance obligation. But the law has a dual nature. There are the rules, that is the conventions and local statues that are written down. And then there is the other side of law, the enforcement. This is the process of implementing and upholding those rules. A former naval officer and law academic, Arthur Alan Severance, looked into the enforcement of the maritime assistance obligation and found was that these maritime obligations are rarely enforced. The first issue is that it is hardly ever reported. Rarely will a ship in distress be able to identify another ship failing to give assistance. The Star Princess story mentioned at the start of the article only came to light because the ship’s passengers that first saw the fishing boat researched the boat when they returned home. Eventually they contacted the only survivor to confirm that he was on the boat they saw, not a usual situation. The next issue is that states themselves are often not willing to convict people of the offence. This is often because ships are under flags of convenience belonging to countries without sufficient finance resources or legal infrastructure to conduct a successful trial. And even in a civil case where one person is suing another it is hard to enforce the obligation. This is because the ship owners with deep pockets are immune for liability where a ship master fails to render assistance. So the cost of litigation is often not worth risking trying to recover money from the master. Moreover, even if all these previous hurdles are overcome the obligation is at best vague. It is often dependant on the master’s discretion and because there can be so many reasons to not to render assistance it can cause great difficulties at trial to prove that the obligation has been breach. Nevertheless, if a master fails to give assistance to a vessel in distress, he or she could be open to civil and criminal liabilities. And they are just the legal consequences. Passing a vessel in distress can lead to the loss of life and that decision can never be taken lightly. The Californian crane lifting disaster of 2011, involving a 72ft 42-ton Sunseeker in the Port Hueneme, is just one yacht dropping that can be found while trawling the web. From the video clip, it appears the crane operator is carefully lifting the luxury yacht, clearing a stack of shipping containers and for a brief moment suspending the yacht some 30m above the ground. Suddenly, inexplicably, the crane gives way allowing the multi-million dollar yacht to fall smashing with spectacular force on to the concrete dock below. Images, such as the Sunseeker incident, make us appreciate that transporting boats to and from ships can be a risky and potentially dangerous business. The damage caused during the delivery process can range from as little as scratching or denting through to total destruction underwater or in thousands of pieces on the ground. Apart from the heartache this causes, in some cases it can be a legal nightmare to work out questions of liability and insurance. Despite the risks, demand for yacht transportation on ships continues to grow every year. At one stage the strong ‘Aussie dollar’ drove many Australian yacht imports from America. However, apart from some specific American brands, it appears that a continuing weaker European Union and blossoming Asian market has broadened the shipping market and amplified the need for safe reliable shipping. The challenge for the shipper is to make the cost of their service competitive and more reliable than traditional delivery methods; essentially there are three options available for transporting your vessel. Traditionally, if you needed to transport your vessel across the high seas you either donned a captain’s hat or otherwise hired a captain and crew to make the long and potentially dangerous journey for you. And, despite the emergence of modern-day alternatives, the delivery skipper still remains a viable and attractive option for its flexibility. You choose the skipper, the schedule, and the drop-off location and your vessel arrives shortly thereafter, without ever having left the water. However, this kind of arrangement is also the riskiest option, from a legal standpoint through to real piracy concerns. You should consider the vessel’s capabilities as it goes without saying, a seaworthy vessel should only undertake a voyage of this kind. Further, your insurance needs to cover extended international voyages so as to ensure coverage for any damage incurred. The vessel and its crew must been deemed reasonably fit to handle the ordinary perils of the voyage. This means that in addition to considerations of age, size and the condition of the vessel, factors including the weather, adequacy of provisions, length of trip and the expertise and competency of the captain and crew will also be taken into account. Your international marine insurance policy may be refused if crucial information was not provided or unnecessary risks were taken. Finding the right skipper and crew is also essential. It doesn’t matter if you’re dealing with an individual or a company, the experience and reputation of the captain is everything. Anyone looking to go down this path should seek references and do some basic background checking. A boat has to work much harder in an ocean-crossing and you need to be 100% confident in your skipper’s skills, expertise and commitment to look after your property. Part of this certainty will come from having a signed and written contract between the parties outlining all aspects of the arrangement. This will clearly be standard practice when going through a reputable agency or dealing with a company, however, if you’re hiring an individual privately you’ve got to make it official as a ‘gentlemen’s agreement’ does not provide legal certainty. 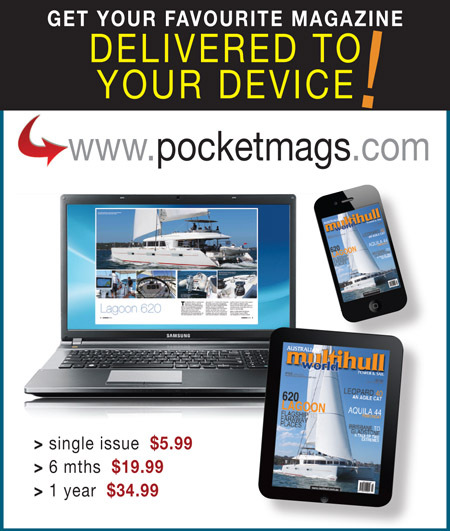 Finally, the cost may be a determining factor as generally yacht delivery skippers charge per nautical mile. In addition you’ll be required to pay for all fuel, provisions, marina fees, customs duties, maintenance, and transportation costs incurred during the voyage. Skippers may also charge extra for higher risk voyages and security services may also be required with the resurgence of pirate attacks on yachts when traveling within certain regions. At the end of the day proper planning will play a huge difference in the overall success of the voyage. For some this form of transit and delivery is to difficult and that has led many to seek alternative options in the form of shipping arrangements. While it may seem counter-intuitive to put a water-going vessel in the cargo hold of a ship, it is undoubtedly a safer (and possibly cheaper) option than getting someone to sail the uncertain seas. You can ship a yacht to many ports in the world and it will usually arrive in exactly the same condition it left in. However, boats are fragile goods and shipping requires significant preparation. Parts may need to be removed, others braced and if smaller boats do not have a roadworthy registered trailer, a custom-built cradle will need to be constructed for the boat to be secured. The main consideration is size, like any other cargo vessels are charged on a per cubic metre basis, so space is at a premium. Smaller vessels may be able to be transported in a standard 40ft shipping container. This is by far the cheapest option and if the yacht is expertly packed it carries the least amount of risk. Larger vessels may be stored underdeck if available, providing the cargo ship boasts roll-on roll-off (ro/ro) facilities. However, if a yacht’s height is greater than 4.2m it will usually have to be craned and transported as deck cargo, bringing with it added costs and security concerns. It would not be the first time that the pitch and roll from rough seas have loosened lashings. On that note, shipping can be a slow process at the best of times, with owners typically waiting upwards of three months for delivery. Customs will also want to inspect the vessel upon entry or re-entry. If your yacht is second-hand, or has not been cleaned thoroughly before shipping, customs can quarantine the boat for washing and fumigation, at a cost. If you have an air-conditioning or refrigeration unit on-board, this should be degassed and decommissioned or you may be slammed with an additional tariff when entering Australia. You may also have to pay import duties tax and GST, unless the yacht is able to be classed as a personal effect that you have owned and used for 12 months or more. Due to the many different shipping options, and the number of parties handling the goods, questions of liability and insurance often come down to precise contractual terms, which will usually depend on who is arranging the shipping. Because of the inherent difficulties in navigating the complex and technical world of commercial shipping, it is virtually impossible to arrange a once-off delivery on your own. Many logistics companies and shipping agents offer quotes for complete shipping services that cover all the costs and legal issues involved in the process. The third and final option is to secure a place on a semi-submersible sail-on sail-off vessel. This is by far the simplest and most secure method of transportation, but is costly and lacks the flexibility of the other two options. These ships are specialised semi-submersible yacht-carriers that continuously circumnavigate the globe. Similar to a dry-dock, yachts are able to sail directly into a flooded cargo hold within the ship, hull supports are welded into place, and the ship refloats to lift the boats out of the water. The biggest downside to this option is the issue of scheduling. The ships only travel to a set number of destinations, and trips are usually booked well in advance. Whether you have been tempted by a bargain in America, Europe or Asia, repairing or refitting your vessel at an international shipyard or simply looking to embark on an overseas yachting holiday the question of ‘which delivery system to use for your vessel between ports?’ must not be taken lightly. Your budget and level of risk associated and the delivery type that you feel comfortable with will be central to the decision making process. In the case of the doomed Sunseeker, although covered by insurance, it took the owners two years to get a replacement vessel, stealing them of valuable boating time. Early contact with your solicitor is in itself an important point, as so often clients contact us after the horse has bolted or should I say the boat has sailed. 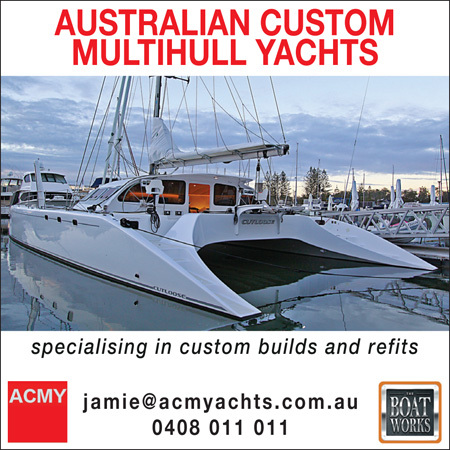 Recently (VMS) assisted a purchaser who was situated in Western Australia (WA) and wanted to buy a large catamaran on the east coast (EC) of Australia. To our clients credit they contacted us before committing to an agreement with a raft of issues from tax, duties and significantly the contract for which we were able to provide a timely advice. Our client was travelling from WA to view the boat and we suggested they inform the vendor that they are looking at other boats, so as to appear not so keen. This would diminish the leverage affect, as the potential leverage point in our client’s case was the mere fact they were flying from WA just to see the one boat shifted the advantage toward the vendor. Whereas, if there are other boats to be seen then the purchaser won’t seem so eager to the vendor. Do your homework on what you want in your next purchase and get a solicitor to do the due diligence on the boat, the vendor or the builder whichever the case maybe. In our recent case, the purchaser was lucky as they found on the net a blog written by the owners that covered pretty much the whole history from launch through the cruising life of the boat. Sifting through the numerous pages our client struck gold there were issues with hatches and halyard tracking within the mast. These issues did not perturb our client from viewing the boat, instead gave our client a greater understanding of the history of the boat and an ability to gauge the vendor’s responses to probing questions. Interestingly, the flip side of this scenario is be careful what you publish online as it may come back to haunt you. In the past (pre-net) the ship’s log or captain’s memoirs would have taken months if not years to go to print and would have been scrutinised, there in-lies the trap of the instantaneous nature of publishing on social media. Further issues raised in considering this purchase were; delivery and port costs in Sydney; the vendor wanted the purchaser to pay the GST and Import duties as the boat was an import, additional issues that generally are not part of a domestic purchases. Due diligence is more commonly considered when purchasing a business and not a boat. While there are consumer protections given by business’s generally in respect to boat purchases many purchases are done privately where no or little protection is given. In these respects, you may want to know if the vendor has good title to sell. 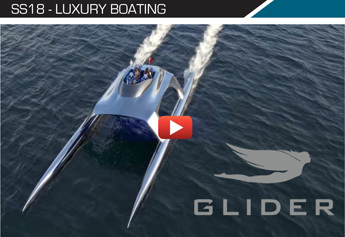 Or given the volatility of the boating industry that you are buying from a solvent business. Ultimately, the issue remains that the boating industry is one of the least regulated industries with many potential pitfalls therefore; it is worthwhile having a forensic look at the vendor. In one case VMS discovered, for a Singaporean client, that the yacht he was considering to commission was to be built in a shed where the previous business was in the middle of liquidation. And while it appeared our client’s builder was not effect by liquidation immediately, we needed to know that there was enough time to build the boat before the shed was sold as part of the liquidator’s duties and that any materials including the yacht itself could be distinguished as separate from the business’s liquidated assets. Due to our advice our client was able to ensure both these critical factors considered by all parties and that the relevant protections were put in place. The payment of taxes and duties is probably as far away from one’s mind when considering a dream purchase but if not considered that dream can soon turn. Generally, speaking GST is not payable in the case of a private sale and is payable where a business is in the business of selling boats. However, the question of GST is much more complicated than described above and herein lies why you need legal advice. The question of duties and taxes becomes even more complicated when importing a boat into Australia as GST may be payable on the boat and the boats insurance. Adding to the confusion import duties may also be payable however, there are certain circumstances when it is not payable. An example of how confusing the import duty question becomes is where a boat was purchase in America then sailed to Canada for major reconstruction and refit work. In this scenario ultimately duty was payable due to the boat being imported from Canada, however the question of how much was where our services became invaluable saving our client thousands of dollars. The lure of buying overseas may be significant, especially when it appears there are real savings to be made however this is not always the case as the following example shows. The purchaser beware principle was no less evident in the purchase of a privately owned and sold, second-hand 50ft luxury cruiser from the US, advertised online at a bargain basement price. While, the purchaser appeared to do everything to ensure the purchase and delivery were successful by flying to the USA; speaking to the boat’s owner; organising a survey and taking the cruiser for sea trials; the purchaser was not aware of his legal exposure due to the private nature of the deal. Several weeks later the boat appeared to arrive intact and was craned into the water. Yet when the engines were started and the throttle set to full forward, the engine roar couldn’t hide the fact that the cruiser remained stubbornly stationary. The owner was understandably crushed by this turn of events and his bargain boat had to be towed to the slipway for inspection. An expert immediately identified the problem; sometime between the test drive in the States and the arrival of the cruiser in Sydney, both five bladed twin propellers had been switched with propellers that had fewer blades, were smaller and thus completely ineffectual. The owner, now unable to pursue the US vendor was also not aware of any other persons who may have had access to the boat and would have to fork out over $30,000 to get the boat going again. The main difficulty that confronted the cruiser/owner in taking legal action was that he was the importer of the boat limiting any potential recourse to the party who removed the propellers, a task almost impossible to prove, as the props could have been changed at any time between sea trials and Sydney. A further sting in the tail came when it was realised that the shipping insurance was limited to loss while the boat was being shipped. The reality was that he had no legal recourse available due to the private nature of the sale highlighting the importance of understanding what consumer protection is and is not available. While it may seem over the top, knowing where and what law will be applied in a claim or litigation is vital and can be the difference between affording legal recourse or not. Jurisdictional clauses limit legal action to a single state or jurisdiction and these clauses, more often than not preference the vendor and make legal action by the purchaser in their preferred jurisdiction extremely difficult if not impossible due to the practical realities of running such a matter. This clause is generally found toward the back of the contract and is easily overlooked. Additionally, depending on what and is agreed between the parties and when, this inconspicuous clause may be the deal breaker. When our client had contacted us to see what legal recourse he had against the shipper, it was precisely when final payment was due to the shipper as the yacht and mast were already in transit. The legal reality for our client was, while the shipper may have breached the agreement, this first agreement was completely separate to a second agreement between the shipper and charter party, who’s only concern, would be that the yacht and mast be discharged in a timely manner. The result was that our client was forced to pay the shipper the balance owing in order to gain access to the two Bills of Lading, being evidence of ownership. Armed with these bills, the yacht and eventually mast were discharged at Sydney for trucking to Newcastle. After the storm clouds had cleared and our advice considered, on balance it was decided not to pursue the shipper due to the cost and impediments created by the jurisdictional clause that limited all legal actions to the state of California. While it is not foreshadowed every purchase or sale of a boat will end up in some sort of legal stoush, prevention is better than a cure. At the very least seeking early legal advice could at the very least save you some expenses that were not foreshadowed such as taxes or duties and in the worst case provide you with a contract that is enforceable. A significant point that is often not considered when using a solicitor in boat transactions is that not only are legal issues canvassed but having a third independent impartial opinion can provide a rational voice in what some may say is often an irrational purchase. Scientists and the petroleum industry no longer are the sole explorers of the Arctic. With the melting polar ice caps new routes are opening up to places only a privileged few could have had passage to in the past. Icebreakers were almost a necessity for the few scientific and cargo vessels that dared to gaze upon the ivory hills. Therefore, while unfortunate, arguably one of the few benefits brought on by climate change has been the opening of passages and is positive effect on trade and tourism. Regardless of purpose, whether it is for money, glory or furtherance of our understanding of human existence, this part of our world is a sight to behold. Currently, in the most convenient sense summer is the time to visit this virgin land. However, time is a factor, as according to research by Prof Dirk Notz from the Max Plack Institute for Meteorology, Arctic summers will soon no longer involve the fluffy white stuff. The new research gives about 20 years before there is no ice left for the Arctic summer months. All this brings up the question of: how do I see this land of wonder before there is no land left to visit? Which brings up even more questions, such as: how do I gain safe passage? Which countries allow for access? Who owns the arctic? Which laws govern the arctic? Which country should I start my journey in? Can I enter through international waters? Could I enter the Arctic with a private vessel? Beyond the requirements of Safety-of-Life-at-Sea (SOLAS) and the environmental marine convention (MARPOL), that are recommendations on standards of maritime safety and pollution prevention, the safe navigation of the Arctic depends on the time of the year a passage is attempted. Different times require different classes of ships. International association of Classification Societies (IACS) identifies the requirements for a ship to be classified as Polar Class. However, there have been some difficulties with definitions of the classes. Beyond the hull strength and navigational requirements, there is quite a bit to consider: International Maritime Organization (IMO) guidelines could really help with creating a checklist. Currently, private ships are following voluntary international guidelines. However, the IMO Polar Code has extensive recommendations that are not limited to charts: From performance standards to survival craft, the Polar Code has painstakingly specific recommendations. It also includes a chapter on voyage planning. The Polar Code does make presumptions on who would be entering the water, in the sense that the smallest vessel referred to in the code is a passenger ship. 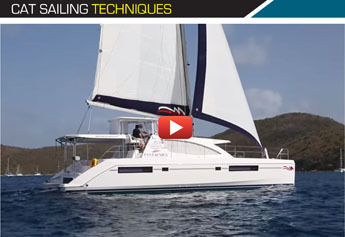 Therefore, a catamaran with a crew of four would not have a manual on board. So, technically, it was not written with a smaller private vessel in mind, but it is a great insight into what it takes to sail the icy sea. In the past there has been some criticism of the IMO: The fact that it is only recommendations and not legally binding and hence unenforceable; the confusing classifications of polar ships does make things harder especially for non-commercial ships; and it does clash with international law. The clash does create some problems not just for large commercial vessels, but also for small private vessels: Canada had two very published events that involved large international cargo ships that one would assume to have captains with a greater understanding of and experience with The Law of the Sea than a captain of a private vessel. To confuse matters further, the Arctic does not have a single treaty or code or any legislation that governs all of it, instead there are many treaties involving two or more countries. The Arctic Council, created in 1996, is intergovernmental forum: Arctic Council was a step in the right direction to simplify things, but, for our concerns, it mostly deals with Protection of the Arctic Marine Environment (PAME). Additionally, there are five countries that claim ownership of waters in the Arctic. These are: Canada, Norway, United States, Denmark and Russia. Their claims end at the end of the Exclusive Economic Zone (EEZ)(370km) of each country. From there starts the international waters and rule of international law, unless there are no international waters, but another EEZ. We all know there isn’t an actual line in the water, so the fishermen and even the government vessels have mishaps when walking the line. There has been quite a bit of debate on which passageways to the Arctic are considered international waters. Although, the United Nations Convention on the Law of the Sea (UNCLOS) needs to be kept in mind, both Canada and Russian Federation have pretty strict rules for navigation in their waters. In addition, United States never joined the UNCLOS. With so many countries involved, there will be some disputes: While countries like Russia and Canada claim parts of Arctic as national waters, European union and United States see them as international waters. Hence, when one wonders if there is any single code of law in the arctic, just remind yourself that each country in the arctic has its own regulations for governing marine pollution let alone all the other numerous areas. Innocent Passage as defined by UNCLOS means that as long as the vessel does not affect the peace, order or security of the coastal state, it should not need permission to enter another state’s waters. This means that you should have some idea of the laws governing those coastal states seas and should not assume anything. This is a problem: Northwest Passage to Arctic is considered national waters by Canada, but considered international waters by United States and EU; Northeast Passage to the Arctic is Russian waters, available to icebreakers for four months of the year; Beaufort Sea is passed the Chukchi Sea, it is partially disputed between Canada and United states and the waters around Hans Island are disputed between Canada and Denmark. Ever since the border expansion of United States at the end of World War 2 – which was adopted by every country that has a claim in the Arctic – there have been way more than a handful of international tête-à-têtes, mostly concerning large vessels: One thing leads to another and coast guard gets involved, then its an international stand-of. With all this in mind there are alternative routes: with the Transpolar Sea Route the simplest legal option as it solely relies on the international waters to access the Arctic. However, currently, the only vessels that can take this route are icebreakers. It is theorised that thanks to climate change by 2030 there will be no need for an icebreaker-strength hull to take this route. There is a similar problem involving the Arctic Bridge as it is only accessible only four months a year, but as the ice melts, it will allow for greater access. If you plan a passage into these icy waters it is a harsh place with unique dangers that will test your will and skill. An endeavour, only a few of the brave should be taking. The dread of knowing exactly where you are in the world, but not knowing which country you are in is a rare experience. However, someone who set their minds on going to the Arctic, isn’t going to be deterred by this possible experience, but just might be delighted by the idea. With all this said, for a non-commercial private vessel, access through a single country to the Arctic, even avoiding the international waters, just might be the safest bet. In addition to all the planning once a route is considered, it would be helpful and recommended to discuss your voyage plans with a solicitor that has experience with Maritime Law and International Law. Compared to the number of ships at sea, there are only a few ships that can navigate the ice filled waters and even fewer of these are privately owned. There are several icebreakers from 60’s to the 90’s that have been privately purchased and upgraded to a level that they can be called a superyacht. James Packer’s Arctic P is one such example: Built in 1969, it was used for many purposes, including rescues and exploration missions. It has entered the Antarctic more than once: The last time being in 2014 when the ship and crew set a new record. Nevertheless, not everyone wants a ship that has been around since the 60’s: Since 2015, there have been quite a few superyachts that can be honoured with the classification of Polar Class: One such example is the SeaXplorer luxury yacht: Built in accordance with the Polar Code, state of the art, this superyacht was made to go anywhere, including the most rare sights in the Arctic and the Antarctic. If you are serious about a passage to the polar regions it is suggested that a good starting place for research about the sea-worthiness of your vessel in reference to the polar conditions is the IMO, with enough resources online to allow for an educated decision as to whether you make this passage with your existing vessel or an alternate vessel. Although, the guidelines are recommendations, it would be foolish to ignore them. And once again, it would be helpful to discuss your voyage plans with a solicitor. An insurance policy, is it an evil necessity of life? Along with life jackets, EPIRB’s, and flares these are there for your protection. When you enter an agreement with your insurer it is your belief that your insurance will protect you by reducing the financial losses and help to lessen your emotional stress in the event of your boat being damaged, or total loss; or alternatively indemnifying you from another claim if you are at fault. Unfortunately, as a maritime lawyer I also have clients who, whilst appropriately insured, have their claims rejected by insurers who fail to honour the insurance policy, much to the exasperation of my clients. In essence, your last shield of protection has failed. While insurers failing to payout are nothing new, it is important you know what to do if this occurs. Firstly, identify the dispute. This may sound obvious. However, the devil is in the detail. You must be aware of what is actually happening with an insurance claim. Occasionally, a dispute may arise from a delay in processing, quality of workmanship of an approved claim, or the insurer not approving certain items in a claim. Sometimes, the insurer will deny or reject a claim in its entirety. In short, insurance companies have a wide range of reasons why they may refuse a claim. Read the Product Disclosure Statement (PDS) cover to cover. When you buy insurance, you are literally buying into a contract and the PDS is the contract. Find out what the insurer’s obligations and your obligations are and pinpoint in the PDS the part that is causing the dispute. It is common practice for insurance companies to organise for an assessor to inspect the damage and give an opinion on what they think the cause is and the cost of repair. If the insurer is refusing your claim based upon the findings of the assessor, you may wish to appoint your own independent assessor for their opinion. You must remember that the insurer pays an assessor. The assessor is not truly independent – and is not writing an expert evidence report under Oath – they will often write things in the report just to keep the insurer happy. They will sometimes cover themselves by clever phrasing like “we are instructed to reject the insured claim”. It may therefore pay off to have your own expert to assess the vessel. Every insurance company works slightly differently. However, typically, when a claim is made a claims manager will ‘look after’ your claim. For larger insurance companies, your claims manager may change daily. But you should have a point of contact with the insurance company – a person who actually knows about your claim and makes the decision. If your dispute is quite small (a small delay in processing for example there is a small issue with repair work that the insurer is unaware of) give the claims manager a call or an email. This may solve the dispute simply and quickly. As difficult as it may be, try to be polite to the claims manager. He or she is the one who will likely make any decision at this stage. The proverb, don’t bite the hand that feeds you, is good advice here. Even though you feel they might never feed you. But do not spend too much time dealing with the claims manager. If your dispute is not resolved quickly at this informal stage, then it is unlikely the dispute will resolve informally at all. If this is the case, move straight to the next step. Each insurer is different, but it is likely your insurer will have an internal dispute resolution department. If you have a dispute or your claim has been denied, lodge a formal dispute. It is free and despite the name, does not require a full technical knowledge of the dispute. It is preferable that this dispute is in writing and concisely states what the dispute is about. If you have evidence (such as an expert report) use it, refer to it, make it easy for the disputes department to navigate the dispute. Typically it takes a few weeks for the internal dispute stage to finalise with 45 days being the norm. It is possible a compromise may be offered. Consider it, but remember you have the right to reject any offer or to reject their final decision. If they telephone you, take your time to think about what was said. If you need some time to think about an offer or how to respond, simply say that you need some time to think or talk about it and call them back. And keep notes of all conversations with the insurer. I can promise you they are. Eventually, you will receive correspondence from the insurer with the final outcome of the internal dispute resolution. If you are still not satisfied with the insurer after the internal dispute resolution process is complete. You have the right to make a complaint to the Financial Ombudsman Service, or F.O.S for short. If you are now at this stage, you may wish to seriously consider getting professional legal advice. While having a lawyer on-board at this stage may seem costly at first; it just may pay off in the long run. Solving the dispute at through the F.O.S has considerable advantages with little risk to you. Think of the F.O.S as your time to shine. This is your first chance to have somebody completely and truly independent to settle the dispute. It is free for you to make a complaint and best of all; the decision of the F.O.S is binding on the insurer but not you! Like the first ball in a game of backyard cricket, you can smash one over the fence without any risk. Typically, from your first referral of the matter to the F.O.S, the final decision will be around four months. However, both parties are given the chance to settle during the course of the proceedings. It is important to use the F.O.S proceedings wisely. You only get one chance and if it does not solve here you have little option but to proceed to the costly exercise of court action. If you are not satisfied with the F.O.S decision you must within 28 days. If you fail to do so, you are bound by the decision of FOS. In the unfortunate event that you’re unhappy with the decision of the F.O.S you may wish to initiate court action. The particular court you will need to go to will depend on the size of your claim. Costs will depend largely on the size of the claim or complexity of the dispute. If your dispute is at this stage, it is highly advisable that you get yourself a qualified and experienced lawyer before commencing down this path. Preparing court action is just as important (if not more!) than the actual hearing itself. You must be aware of the costs and risks associated with it and therefore must make a sensible commercial decision whether or not to proceed. Expert reports, are more than likely essential to proving your case against the insurer and expert reports must be prepared in accordance with the rules of evidence. Failure to do this may prove to be a very costly mistake. The road to settling a dispute with an insurer is a long and exigent one. However, if done wisely it can eventually have you back on the water enjoying the sybaritic pleasures of boat ownership just like you should be. Let’s face facts – owning a boat is an exercise in expense. There’s the ever-rising cost of fuel, the marina, storage or transportation fees, registration, insurance, and the seemingly endless upkeep and maintenance costs. As a solicitor, I often come across clients who’ve fallen into the trap of buying into the boating dream without fully appreciating the true costs associated with long-term ownership. They’ve overextended their finances, ignored the effects of interest and depreciation, or underestimated the amount of repairs needed; in all cases ending up severely out of pocket. Yachtsmen frequently joke that their vessels are merely holes in the ocean in which to pour their money, and many a mariner will swear to the old saying that BOAT actually stands for ‘Break Out Another Thousand’. As economic uncertainty continues to loom and cost of living expenses keep rising, it’s becoming harder and harder for some recreational mariners to allocate the necessary funds to keep sailing. When we consider that on average a boat in Australia is taken out just 14 days per year, trying to justify these ongoing expenses (especially to your significant other) can be quite a challenge. It therefore comes as no surprise that private boat syndicate schemes and commercial syndicates are increasing in popularity. And while these certainly reduce the annual spend by splitting costs between several parties, joint-ownership can be a risky venture. It is therefore essential, like any contractual relationship, that you know exactly what you’re signing up for from the outset while also recognising above all else owning a boat should be fun. A boat-syndicate is where two or more individuals decide to purchase a boat between them in the understanding that each will be entitled to a period of exclusive recreational use of the vessel. While these agreements are contractual in nature, they are by no means inflexible, nor do they require formal legal drafting to be effectual. A group of friends who simply pool their resources and buy a boat together would be bound to any verbal agreement made between them as to the terms and conditions of use. However this approach, while surprisingly common among mariners, offers little (if any) protection to the parties if there is a disagreement later down the track. This is especially applicable when not all owners have an equal share in the property. It is highly recommended that any verbal agreement, even between friends, be formalised in writing, signed and dated by all part-owners. This document should expressly state for how long each person gets the boat, over what dates, and under what conditions. It should address issues such as who is responsible for ongoing maintenance, berthing and upkeep. Also its advisable to stipulate what is to happen should someone damage the vessel, default on payment, wants to vary the agreement or sell his or her interest in the vessel. I have acted in disputes that have involved boat-syndicate agreements between unknown parties. Despite taking precautionary measures, such as signing written agreements the parties involved ended up having a dispute, in one case over the position of the mooring and pre-delivery mooring costs, prior to the boat being delivered. This raises a number of concerns and highlights the importance of having a contract in place that is easily understood between the parties and covers all the relevant areas providing you with appropriate protection of your legal interests as well as the legal avenues you may have if a dispute arises. The scenario above occurred during such an early stage of the agreement that the dispute was an early warning sign for continuing disputes. And it is more than likely a dispute that occurs at this early stage will lead to a continuing legal relationship between the parties that will fester and eat away at any enjoyment you might get from having ownership in a boat. Therefore if you are looking to enter into a boat-syndicate arrangement it would be wise to enter into a private agreement with people you know and trust, it is also important to be cautious and seek advice when entering into these agreements. If nothing else a cautious, diligent approach will allow you to minimise risk and focus on the positives and enjoyment that one receives from owning a boat. In some instances, it may be easier to head down the pathway of the commercially managed boat-syndicate. A popular alternative to the private agreement is to purchase a share in a vessel directly through a management organisation that do most of the heavy lifting for you. These companies advertising and bringing together owners, providing ongoing maintenance and upkeep of the vessel and performing all the necessary legal and administrative work. They usually charge a yearly flat fee for this service, which, depending on the nature of the scheme, grants members a certain period of time each year in which to enjoy use of the vessel. However behind the outward simplicity of these schemes there often lies some hidden complexity, particularly in relation to questions of ownership. A second option is employing a marine industry solicitor to draft the relevant documents and form a company/trust to manage the boat and its owners. Unlike chartering a vessel or buying into a timeshare, when entering into a boat-syndicate scheme, you become one of the owners of the vessel. This has two main advantages; owners have a saleable interest at the end of boat-syndicate agreement (usually a period of three years) and the vessel itself is likely to have been well maintained by all participants due to a sense of owners’ pride. However, unlike informal private agreements, you have very little bargaining power in a commercial boat-syndicate and are subject to the conditions as stipulated by the managers of the scheme. This lack of bargaining power can become an issue when the relationship between the parties is based on the commercial agreement and no prior personal relationship. While any contract made as part of the commercial boat-syndicate will provide you with legal rights sometimes conflicts can arise on a personal level between the parties to the syndicate. Therefore when entering into an agreement it is important to ensure that dispute clauses are included in the contract, and that if there are multiple contracts that the dispute clauses are consistent and easy to follow and understand. Commercial agreements should also be carefully considered so that issues such as asset ownership and exit clauses are fully understood. Above all owning a boat, regardless of contractual agreements is designed to be fun for everyone within the boat-syndicate. With this in mind a courteous relationship between members who might not know one another is vital as legal rights can sometimes be manipulated if the personal relationships between the parties become bitter. Despite the initial set up difficulties, a carefully thought through boat-syndicate agreement gives you peace of mind, and means all parties can spend more time enjoying the vessel rather than spending time in their solicitor’s office. You would think that marine insurance policies would be drafted to adequately protect the boat owner generally, given the accepted fact that boats live in a hostile marine environment. And that the insurer’s risk analysis policy would not make the customer the scapegoat, by interpreting their policies so broadly. However, it appears that some insurers are becoming more inclined to reject claims, even when you believe you have adequately maintained your vessel. So given that the rules on the insurance playing field are often not fare, protect yourself. The starting point is to consider what you will use the vessel for, where and possibly when. 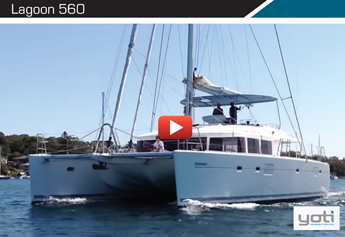 This will provide a road map when reading the insurance policy to ensure it meets the special requirements that owning a multihull requires such as salvage; property damage and includes towing to name a few examples. It is important that you are fully informed about the insurance contract you decide on and what happens to your salvaged vessel when it is recovered. The leaflet that you are provided with when you insure your vessel is more important than the cover may suggest. 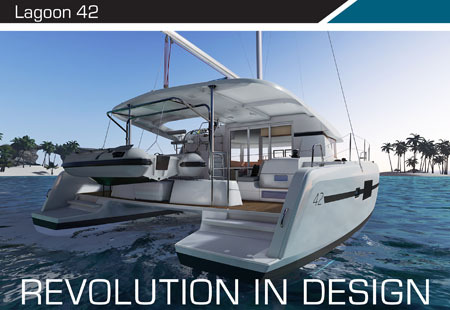 One positive for multihull owners is that traditional differences between multihull and monohull insurance options seem to have faded with advances in design and construction materials. These days the premiums that insurance companies charge are approximately the same amount for equally priced monohull and multihull marine vessels. However, this was not always the case, historically there has been a difference in insurance premiums for multihull users compared to monohull. This was likely because multihulls were either poorly made or the construction materials were limited in the 60’s and 70’s, and thus more prone to sinking in some cases. 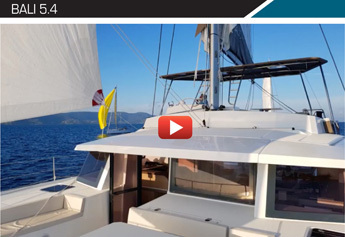 Nowadays multihulls are much safer in their design and due to advances in materials. 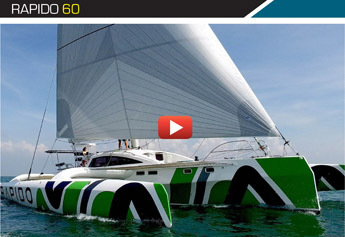 Additionally, it could be argued that multihull designs have become more acceptable within mainstream boating circles. But for whatever the reason it appears that insurance companies charge approximately the same prices for multihulls as they do for monohulls. 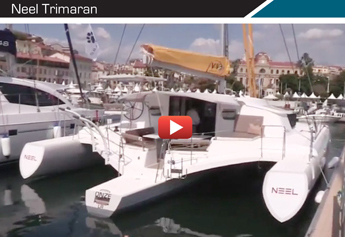 However, any owner of a multihull needs to be more aware than a monohull owner, about whether their insurance policy covers salvage operations. 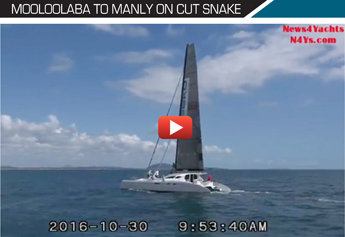 This is because when a monohull capsizes the keel will cause the vessel to self-right. However, this proposition is not possible in a multihulled vessel. One of the main areas of dispute when it comes to insurance law is definitions and interpretation of specific words. It is a whole area of law in itself, so it should not come as any surprise that ‘salvage’ does have a specific definition. If your marine vessel becomes ‘capsized or damaged while you are at sea and there is danger to your boat or yourself’ then you will likely need assistance. 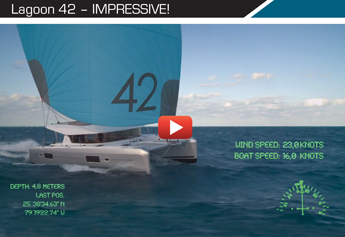 This is particularly true for a multihull, which does not self-right itself. Anyone who provides this assistance can be considered a salvor and are conducting a ‘salvage operation’. • How prepared, efficient and valuable was the salvors’ equipment. It is important to briefly note: if the salvage operation gave no ‘useful result’, then there is no obligation to pay a reward to the salvors nor if you refuse expressly and reasonably salvage aid. The concept of ‘buyer beware’ can cover many different things – also insurance. It is important to remember that you are buying an insurance policy. You are quite literally, buying into contract. If you open up your $4 carton of eggs to make sure non are cracked than it makes no sense not to open up your insurance policy worth thousands of dollars to check its contents. Even with all the modern technology yachts are susceptible to the elements of the sea and can become stranded by running aground or some other misadventure. In some circumstances you may able to do little more than don a lifejacket, transmit a mayday message and prepare your crew to abandon ship. Both you and your vessel are now completely reliant on the goodwill of others to come to your aid and salvage the vessel. The modern definition of salvage, in the 1989 International Convention on Salvage, branches out significantly from its Rhodian roots. In a world of electric pumps, powered crafts and global positioning systems, salvage is now less about the recovery and more about the measures taken to prevent the loss. However, despite the modern definition one aspect of salvage remains unchanged, unlike land locked law that focuses on punitive actions, salvage laws continue to reward the good deeds of individuals. Where the man off the street voluntarily rescues property from a blazing house fire and does not receive any benefit for his selfless actions the same individual would be entitled to a significant financial reward for preventing loss to the owner’s property in territorial waters, even if the aid is given without the request or consent of the owner. This curious discrepancy can be justified on economic grounds as successful ‘user-pay’ salvage attempts minimise costly insurance claims, reduce potential litigation and encourage professional salvage operations, saving the state and taxpayers from providing similar infrastructure. The New Zealand Millennium Cup is back on the agenda with a fleet of yachts showing off on the emerald waters of the Bay of Islands. In these circumstances it seems very fitting to discuss the rules of yacht racing and how it actually applies to the law of sea. While I would love to talk about when yachting goes smoothly, the sad truth of my profession is the law tends to only get involved when things go wrong. Maritime accidents happen and when they do legal ramifications are likely to arise. Whether it be a fight with insurance companies, seeking compensation or even criminal action, there must be certainty as to law the skipper follows. If this accident occurred during a yacht race, the actual law to be followed is not as simple as one would imagine. When on the water you should be familiar with The International Regulations for Preventing Collisions at Sea 1972 (‘COLREGS’). These regulations are known as the ‘rules of the road’ for vessels at sea to prevent collisions. It is the international standard, widely adopted across the globe and applies to many different types of vessels in different types of waters on different types of voyages. This all may sound simple so far. But, yachts in a yacht race can be treated differently under the law. It can cause a headache to the poor souls whose yacht race goes from a dream to a nightmare. The simple fact is that the COLREGS were never intended to govern a fleet of yachts sailing in close proximity to each other. The COLREGS intended purpose is to provide a broad set of rules covering all vessels at sea. Yet, bulk carriers and alike share as much similarity to a yacht as an Airbus A838 to a kite. 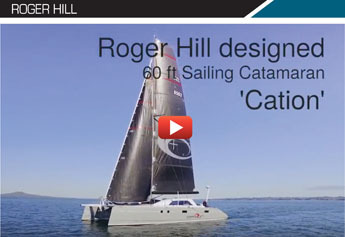 The Racing Rules of Sailing (RRS) are based on the COLREGS but with slight variances that take into account the unique circumstances that racing yachts find themselves in. 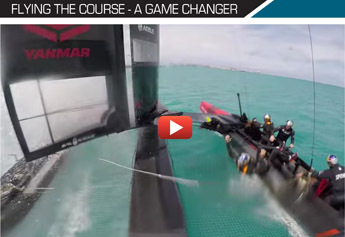 Like the COLREGS, they are adopted worldwide for the sport of sailing. Importantly, the law can give effect to the RRS over the COLREGS, but only in very specific circumstances. 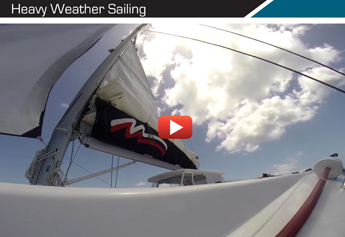 For starters, every skipper of a racing yacht should be familiar with both sets of rules. Preventing a collision would avoid unnecessary and costly heartaches. Besides, it’s a race; avoiding a collision and being first to cross the line goes hand-in-hand with each other. Yacht racing is not a game of dodgem cars. But, like I said, lawyers tend to only get involved when things are not smooth sailing. In the event of a collision and without even touching on the criminal aspect of breaching the rules, the importance lies in determining who is at fault in the event of a collision. A key commercial factor between the two rules is how actual liability is worked out. Under the RRS, if a yacht collides with another racing yacht then typically, one yacht will be found entirely at fault for the collision. Whereas, if you were to follow the COLREGS then you will find that both vessels are somewhat at fault and the question becomes who is more at fault. The importance of this cannot be understated. In the event of a claim for compensation the payout figure would likely be a percentage under the COLREGS. And when is comes to yachts this can run into the many millions! Under general maritime law, however, fault will be allocated between the parties on a percentage basis. And fault in a maritime collision is almost never allocated 100% to one party. The COLREGS were never intended to govern racing vessels. The COLREGS applying to a yacht-racing event seems bizarre. The simple logistics of following the COLREGS during a race will, at least in my opinion, dampen the excitement of a race. But this has been the subject of many court decisions in both the UK and the USA. When millions of dollars are at stake there is very likely going to be some court decision on it. The issue is the law is not clear. The default position here in New South Wales is the COLREGS apply unless the governing authority (here being Maritime Services) says otherwise. Racing events must be approved by Maritime Services as races are regarded as an ‘aquatic activity’ and rightly so. The law is framed so as to allow the COLREGS to be overruled by the RRS if the aquatic activity licence actually states that the RRS applies. It is important to note that even if the RRS applies to a race, the racing vessels must follow the COLREGS to avoid collisions with non-racing vessels. This is built into the RRS itself. However, the law in New South Wales seems to go further, that the COLREGS apply even if there is a risk of colliding with non-participating vessels. The Courts have not determined how broad this risk needs to be. By literal interpretation of the law, if you have a vessel on Sydney Harbour, there is always the risk of colliding with another non-participating vessel. It seems that in a busy area of water, the COLREGS will almost always apply, significantly narrowing the circumstances when the RRS can apply. Often it takes a disaster to bring about real change and growth. Such was the case with Pantaenius’ water up, all-risk and agreed value insurance policy. The Phoenix metaphor gets used a lot, but in the case of Pantaenius, it is beyond true. It was the very genesis for the base policy that allows Pantaenius to cover everything from global cruisers to sports fishing, as well as yacht racing and super yachts. A large fire in a winter storage shed in Hamburg, Germany, in the 50’s destroyed several delightful wooden yachts that were in perfect condition. The owners were friends of one, Harald Baum, who was in commercial marine insurance at the time. Their insurers acknowledged the accident, but were only prepared to offer Harald’s friends the cost of the yachts on the current market, which was nowhere near enough to replace these magnificent examples from another era. “The owners could not afford to replace their craft with something similar. Their insurance company failed to protect their assets. Now it would be this very notion and the lack of a true, waterborne yacht insurance policy at the time that sparked the idea for my father to develop the product we have today. 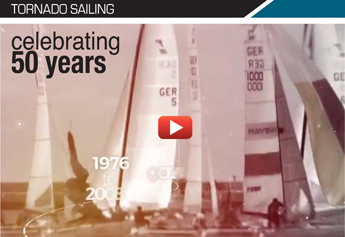 Forty years on it is the one standard for yacht insurance in Europe and beyond. We now have over 90,000 yachts insured around the globe,” said Harald’s son, Martin, who is now the group’s managing director. Today, Pantaenius is still very much a family company, with Martin’s siblings also involved in the business and Harald still goes to work each day. This family ethos, coupled with a genuine and strong nautical affliction, means Pantaenius is ostensibly without equal the world over. 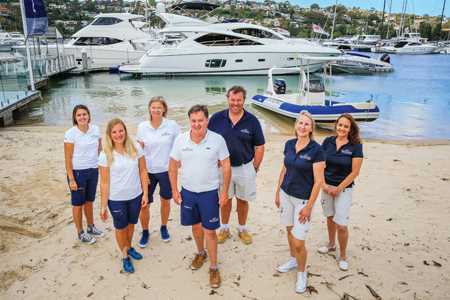 Now into its fourth year of operation in Australia, Pantaenius has its growth stemming from these very cornerstones and the fact that each staff member is a dedicated boaty in their own right. This makes Pantaenius a very unique player in the local, Australia-Pacific scene. 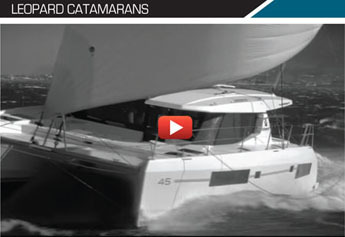 The ever-increasing contingent of global cruisers, especially in multihulls, were some of the first to adopt Pantaenius here. Soon after it was ocean racing boats and inshore sailors. More recently, all manner of powerboats form long-range cruisers to sports fishermen. “Our staff have sailed all over the world, been around various types of craft being built and moored in more marinas than we can count up. In addition to that, they have a network of contacts that surpasses enviable. Coupled with our global collection of surveyors, riggers, mechanics, yards and all services, you have a powerhouse of assistance waiting for you. It is all of these that will ensure your boat and mooring are fully sorted, so that you can get on with enjoying your favourite pastime,” said Baum. Australia and the Pacific Rim are very important to Pantaenius collectively. In a way, the world has become smaller, with more people taking to the seas to complete life-long ambitions and dreams. They are covering great distances as they go from Europe to the Pacific or Australia to the Caribbean. It is no surprise that Pantaenius wanted to have a ‘local’ presence in an area that covers the Asian powerhouse, Australia and the vastness of the South Pacific. Jamie MacPhail, Adam Brown, Danielle Blackmore, Vicky Millynn. “Of course, legalities mean that there is paperwork to be completed, but here too our policy documentation is written in plain English and the exclusions take less than one page. The ever increasing complexity of compliance rules are making it harder to provide the client service that we are used to, so this is where we put our attention and effort to deliver best practice,” added Baum. Now one of the things that many clients comment on is how they get to deal directly with the person who sold them the insurance. No matter whether it is changing your cruising locale or making a claim, you speak with a Pantaenius team member. Indeed it is this level of service that has many clients now as advocates, especially those who have suffered a total loss. AIMEX was thrilled to have Pantaenius guiding force Martin Baum speak at ASMEX 2016 conference at the Intercontinental Hotel Sanctuary Cove on May 17. Theirs is a story of a robust business that is an exemplar to the marine industry and ties in the ASMEX 2016 theme of ‘Building Better Business’ for our Australian marine industry. Now no one could know your boat as well as you do. Pantaenius will ensure you know it even better with a policy designed to reflect your needs and boating lifestyle. Call +61 2 9936 1670 or go to www.pantaenius.com.au and find out why it is so. Whether you’re buying your first boat or looking to upgrade, getting the right kind of financing can be incredibly important. When it comes to any kind of large financial expense like car loans, home loans, and boats loans, making sure that the loan details are suitable for you could end up saving thousands of dollars over the life of the loan. With that in mind, here is some general advice on how to find a boat loan that is suitable for you. Always get advice from a financial professional before taking out a boat loan. Secured and unsecured loans each have their own advantages and disadvantages, so the one that you choose will likely come down to a matter of preference, and depend on which suits you better. Secured boat loans – These use the boat as security for the loan. This means that the lender has the right to repossess the boat if you default on the loan. However, this also means that the loan is a lower risk for the lender which means that the interest rates are usually lower than unsecured loans. This also means that a secured boat loan will likely be less flexible than an unsecured loan since a secured loan can only be used to purchase the asset that secures it. Unsecured boat loans – An unsecured boat loan will mostly likely be a personal loan that you use to buy a boat. Because it is unsecured, it may have a higher interest rate than a secured loan or you may get approved for a lower loan amount. However, you will also have the flexibility to use the loan for other things, for example, you could take out a loan to buy a boat with enough left over to pay for new fishing equipment. This is another option that will likely come down to a matter of preference. Both fixed rate and variable rate loans have their own advantages and disadvantages, so your choice depends on whether you prefer stability and predictability or the possibility of future savings. Fixed rate loans – Because the interest rate doesn’t change during the loan term, you’ll always know what your repayment amounts are, as they won’t change. This makes it easier to budget for your loan repayments in the long term which some people find to be very helpful and important. However, if interest rates drop in the future, you might ‘miss out’ on potential saving s on your repayments. Variable rate loans – A variable rate loan might end up being cheaper or more expensive than a fixed rate loan, depending on the direction of interest rates over the loan term. This makes it more difficult to budget for your repayments, but you might end up saving money as well. • Save at least a little bit every time you get paid. Getting help from a finance broker is always a good idea, whether you have bad credit or not. They will be able to give you tailored advice for your boat loan so that it matches your needs. And if you need to upgrade the car that’s going to tow your new boat, they will be able to help you with a car loan as well. And if you do have bad credit, a good finance broker will be able to advocate the strengths of your application to lenders on your behalf. Some multihull enthusiasts will have spotted Kato, our first G-Force 1800C design cruising up and down the east coast, her amazing performance turning plenty of heads, easy enough when reaching at 21kts in 12kts of true wind! Well, move over Kato there is a new cat on the block – and with an equally short and catchy title. 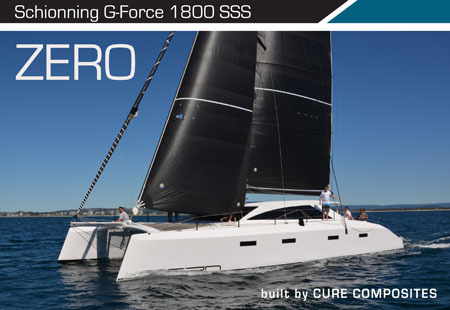 Introducing Zero – our new G-Force 1800 SSS design, recently built and launched on the Sunshine Coast by Ian McMahon of Cure Composites. Pacific Power Cats, under the direction of Peter Brady, are nearing completion of the West Coaster 49, their second vessel in the Pathfinder Power Cat range and also for West Australian clients. 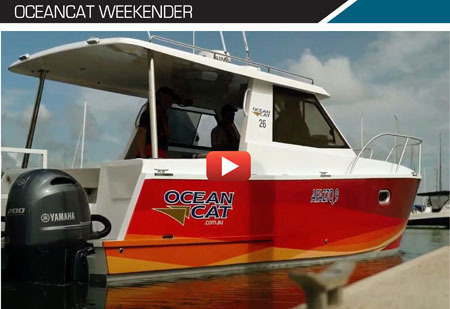 She follows on from the successful launch and delivery of the Pathfinder Pilothouse 17.4 from Brisbane to Mandurah around the top end of Australia. 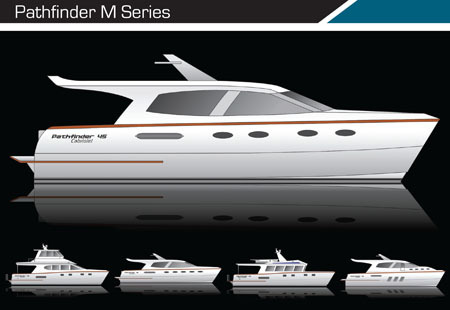 The West Coaster is the first in the Pathfinder ‘M’ range to be built in a variable dimension hull mould with custom deck styles and interior arrangements similar to the manufacturing philosophy that the motor vehicle industry call platform engineering. 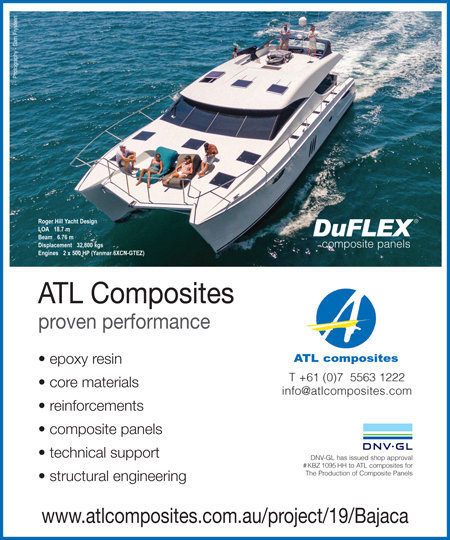 This will provide clients with confidence in the performance and seaworthiness of a proven hull design and the economic advantages of a moulded hull, while allowing them to have a style, internal arrangement and equipment list that suits their personal requirements and taste. 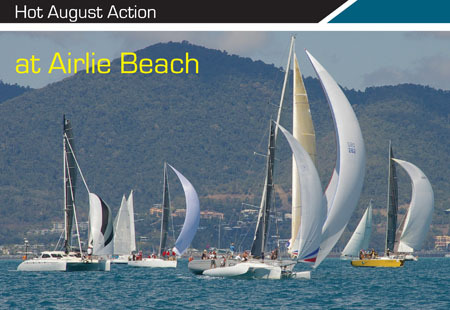 The first of the three big North Queensland regattas kicks off with the 26th Airlie Beach Race Week. 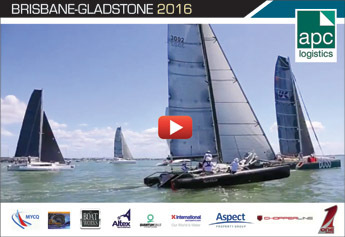 Amassed this year is arguably the most competitive fleet of racing multis ever assembled in Oz, all eager to enjoy the challenge of racing around the magnificent Whitsunday Islands.